• Phil Mickelson gave direct input to Callaway wedge maker Roger Cleveland, and they worked closely together on this design. 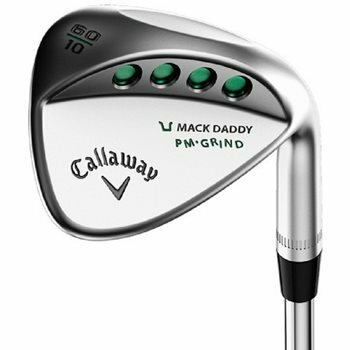 They took a Mack Daddy 2 Wedge and grinded out the high toe shape, added the right materials, and had Phil constantly test it on Tour. • This design lets you accelerate through the ball and go after every shot. You can get up and down from anywhere - even on flops, bunker shots, and out of the thickest rough. • This is clearly a different shape than your standard wedge. It has more surface area, 39 percent more groove area that goes all the way across the face, and the high toe moves the weight higher so that it’s easier to hit shots out of deep rough.